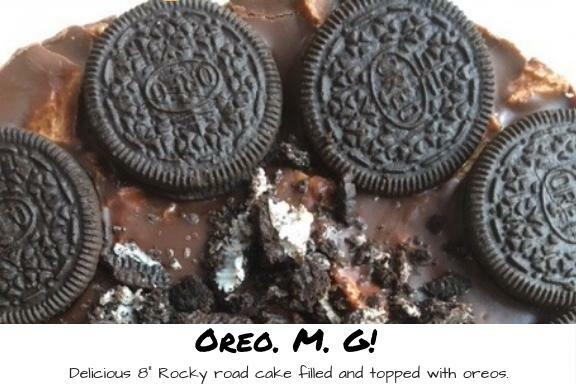 Oreo Rocky Road cake - Layers of milk chocolate rocky road encase a white chocolate rocky road middle - just like an Oreo! 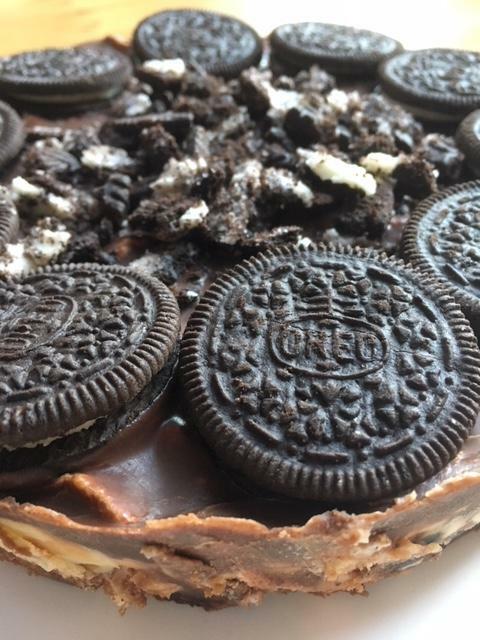 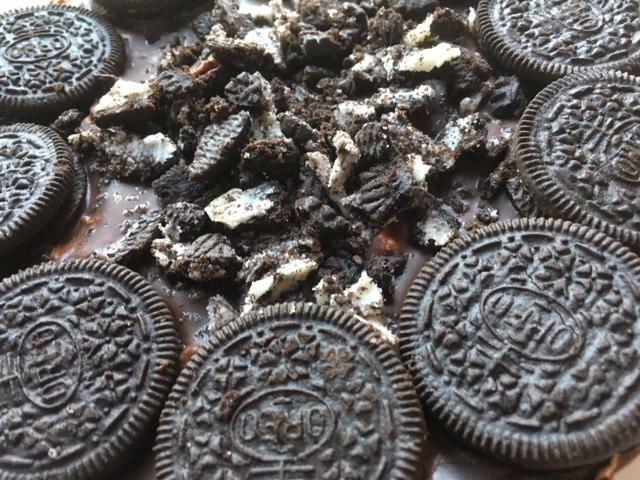 Bursting with chocolate, home-made vanilla marshmallows, Oreos and topped with more Oreo biscuits. 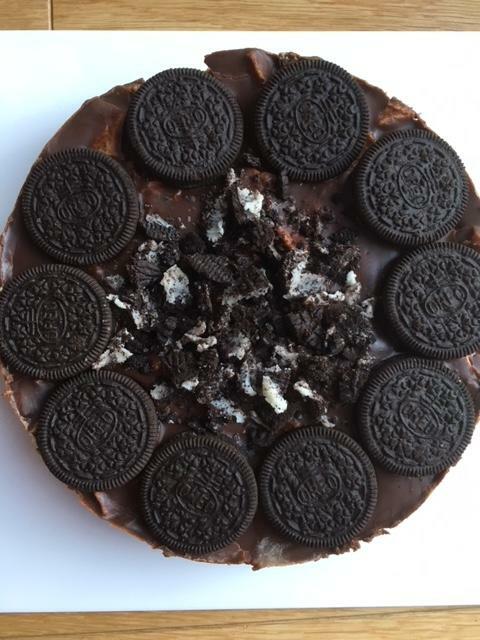 A perfect cake for all Oreo fans - it's delicious, moreish and perfect for every occasion! 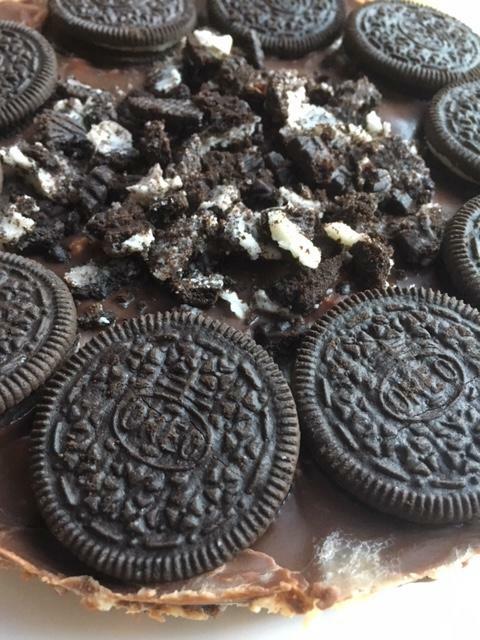 Milk Chocolate, Dark Chocolate, White Chocolate, Butter, Golden Syrup, Vanilla Marshmallows, Biscuits, Oreos.